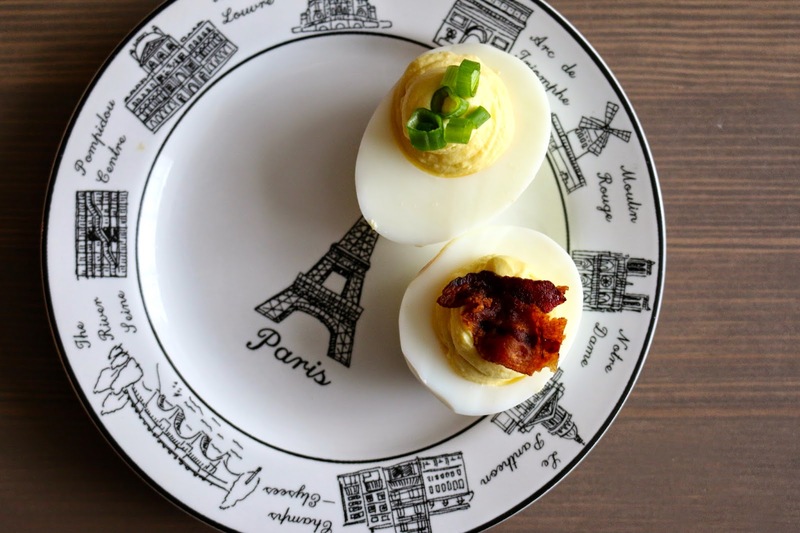 Growing up, deviled eggs always made an appearance at holiday dinners. My mom garnishes them with halved green olives and while those will always be the best way to make them, I think it’s fun to mix things up every now and then. Tomorrow for easter dinner, Joe and I are driving one sweetly short hour south to spend it with my sister and her husband. My job is to bring dessert and deviled eggs. With four options (regular with bacon, regular with green onions, truffle with bacon, and truffle with green onions) I’m hoping everyone can find room for a new favorite. 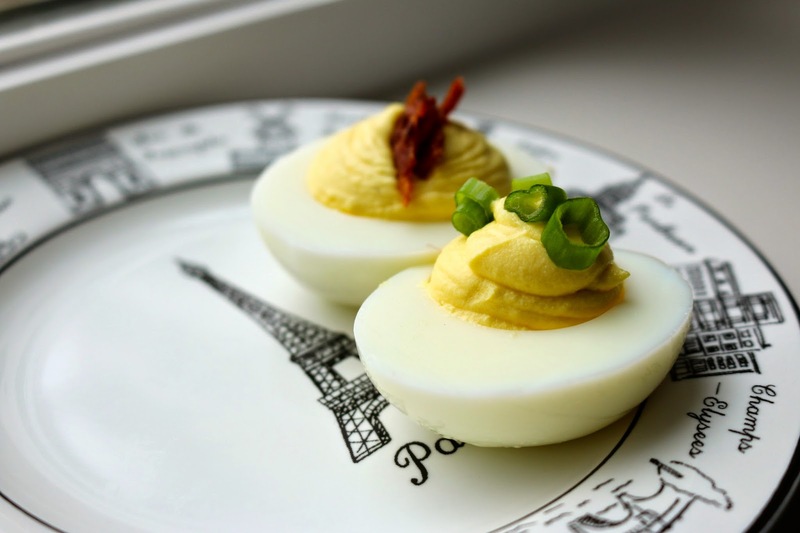 Halve eggs lengthwise and remove the yolk, reserving the whites. Add the yolks to a mixing bowl along with the mayonnaise, vinegar, mustard, and salt. Mix for a few minutes on medium speed until smooth. Spoon half the yolk mixture into a pastry or food bag (or add to whites with a spoon) and fill 12 of the egg whites. Add the truffle oil to the remaining yolk mixture and mix well. Fill the remaining 12 egg whites with the truffle yolk mixture. Garnish half of each with bacon and half with green onions. Keep refrigerated.